In the run-up to last week’s Spring Statement, the Chancellor himself said it would be a “non-event”, which led contracting experts to predict that it would pass without any developments that directly impacted the UK’s independent workforce and the thousands of businesses serving this sector. This turned out largely to be the case – the Spring Statement was somewhat uneventful, particularly on the IR35 front anyway. Philip Hammond made no mention of incoming IR35 reform, and instead chose to reiterate the Government’s commitment to support UK entrepreneurs and claim once more that The Conservative Party is the Party of business. The immediate flurry of Tweets from contractors showed that this is something they’ve heard before from the Chancellor. Taking into account that fiscal policy changes and announcements on tax reforms are now kept only to the Autumn Budget, we shouldn’t be too surprised that IR35 was ignored in the Spring Statement. The stalemate that is Brexit also meant that Mr Hammond, it seemed, was more occupied with other things. The arrival of the IR35 consultation earlier this month was another reason tax specialists did not expect the Chancellor to address changes to the off-payroll working rules. Nonetheless, a number of IR35 experts, including Qdos, have spoken of their disappointment that Mr Hammond missed an opportunity to stress how important it is that the private sector prepares for incoming changes. 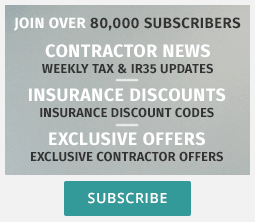 Next year’s IR35 reform is, after all, hugely significant for contractors, the private sector, and entire UK economy. Many believe the Government needs to pay more attention to ensuring the private sector understands and adheres to its responsibilities and that changes are implemented more successfully this time around. The very fact that the Government will introduce controversial reform to the IR35 legislation – amendments that have not been a success in the public sector – amid such economic uncertainty is certainly viewed as short-sighted by sector specialists. After alluding to the “cloud of uncertainty” that currently hangs over the economy in the opening lines of his Spring Statement speech, the contracting community will be wondering why the Chancellor – at this very moment in time – is still intent on enforcing changes that have the potential to threaten it. Not forgetting about the skills and flexibility that independent workers provide businesses of all sizes with (both of which are vital in economic uncertainty), freelancers and contractors contribute well over one hundred billion to the economy each year, according to the lobbying body, IPSE. If raising money is all the Government is focused on, then there is a case to be made that the contractor workforce is an asset worth protecting, nurturing and allowing to flourish. In his speech, Mr Hammond did announce new measures to prevent late payment – foul play that affects 84% of small businesses (including freelancers and contractors) each year. He also reiterated that the Government intends to make “technology companies pay their fair share” in tax – something the UK’s smallest businesses have long been calling for as a matter of fairness. Contractors might recall, however, that these are two issues that Mr Hammond regularly touches on in his speeches. The independent workforce is yet to see real progress in these areas. As expected, the Chancellor also confirmed that Making Tax Digital (MTD) rules will be introduced from April 1st. The imminent changes mean that contractors with a turnover above the £85,000 VAT threshold need to hold all records digitally and submit them to the taxman through software approved by HMRC. However, with further IR35 reform now just over a year away, the general feeling among contractors is that the Chancellor is creating challenges for the independent workforce, not the opportunities he is keen to highlight. It would seem that the Chancellor doesn’t have his feet on the construction ground or finger on the pulse of the contracting nation of this country. Enforcing this rule will create a vacuum of employment within the construction industry that can only be filled by foreign cheaper labour . This in it’s own right will have issues due to Brexit. Unfortunately unless the construction industry employs bigwigs to re-write contracts, employment agencies and the self-employed contractor will become dinosaurs (extinct).